Mexico has been one of the top destinations in the world for the past few years. Despite the bad news and press, people continue to vacation in Mexico. Check out these 5 great destinations that you should visit on your next trip! CDMX or Mexico City is one of the largest and most populated cities in the world. It's an important financial and cultural center in the Americas, with many tourist attractions. You could easily spend a week here just eating street tacos-no judgements, YOLO. Mexico city is filled with amazing modern and old architecture. Walk around Condesa and Roma, two trending neighborhoods with great farmers markets, restaurants and bars to experience the city life. The historical center is full of great traditional architecture. 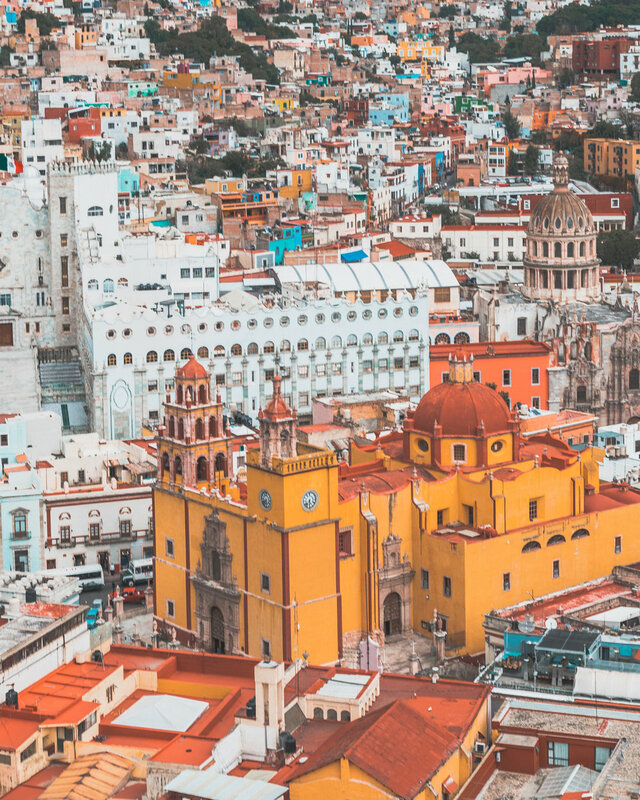 The most iconic attractions include: Palacio de Bellas Artes and the Metropolitan Cathedral but perhaps the most important is the archaeological site, Templo Mayor - the hidden ruins that Mexico city was built on. The ruins were accidentally discovered by two electrical workers in the 70's. It has been a work in progress to excavate the old Aztec city since then. Catch a break and grab something to eat at the beautiful Casa de Los Azulejos. If you love museums and are willing to travel a bit outside of the city center, Museo Dolores Olmedo is also worth cheking out; and of course the famous Casa de Azul, the house where Frida grew up, now turned a museum dedicated to the artist's life and impressive art collection. 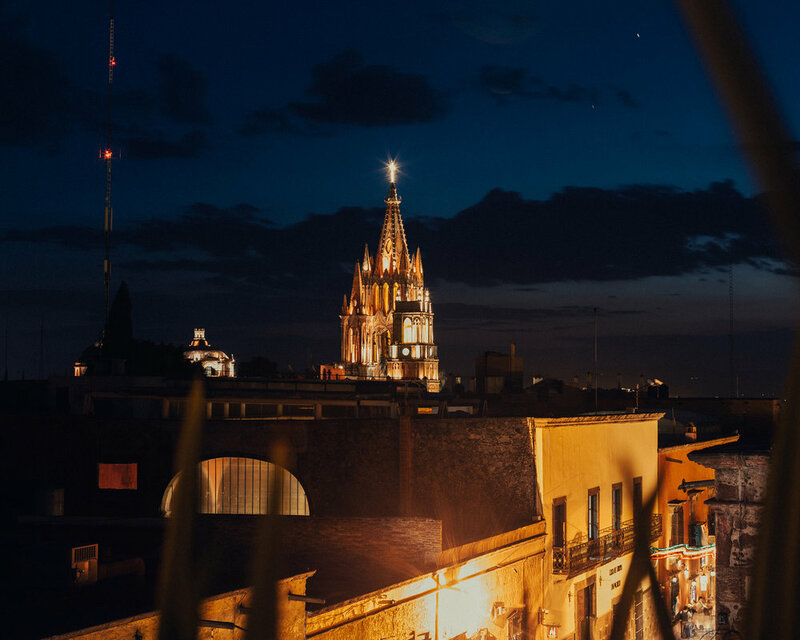 If you are headed to Mexico City read this full guide here. San Miguel de Allende is a small charming town with a lot of history and a lot of expats, mostly from the States, living here. The colorful buildings, cobble stone streets, a beautiful park in the center where the locals gather, could fool you that you are somewhere in Europe. Spanish ruled Mexico till 1821 and although San Miguel de Allende still looks very European it is proudly 100% Mexican. This was the first city to declare freedom from Spanish rule. 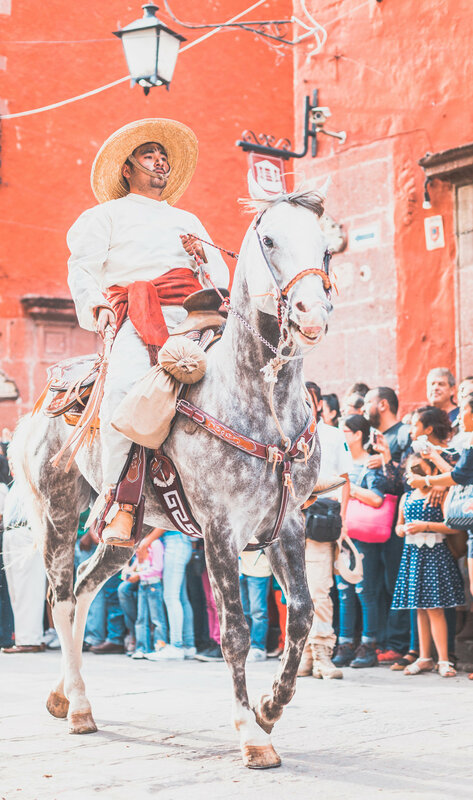 Every year the whole town celebrates Mexican independence day and puts on a great festival with parades, music, horse rides through the town, ending with spectacular firework show at the main square. Guanajuato is another great town in Mexico that is full of character. 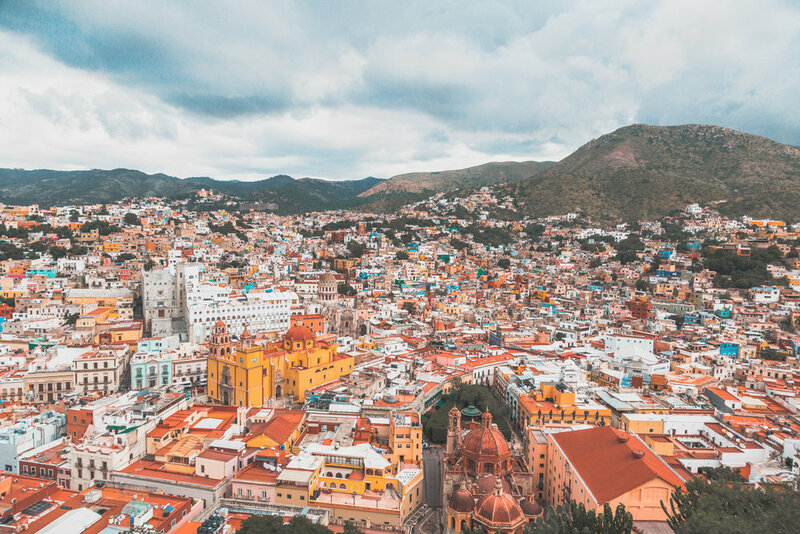 Guanajuato is located in a narrow valley and most of the streets are small and winding, which resulted in an intricate underground tunnel system used not only by cars but also the pedestrians. Guanajuato became famous for it's silver mining back in the day, and although some silver mines are still functioning today they are also open to tourists. If you speak Spanish, there are many people who worked at the mines perviously, and now can take you on an interesting tour of the mines. University of Guanajuato attracts students from all over the world. In any student town you are guaranteed a great night life and the best happy hour. Getting lost in the narrow alleys while looking for the best deals on drinks is part of the fun. In comparison to San Miguel de Allende or Guanajuato, Guadalajara is not the prettiest city. It might seem a little bit rough around the edges at first, but this town is definitely worth stopping by. Guadalajara is the largest city in the state of Jalisco, and Jalisco is the most famous for TEQUILA! If you visit Guadalajara make sure to try all the various types of tequila. There are also day trips you can take to the country side and see how tequila is made. Guadalajara is known for the best mariachi music. For just few bucks you can got to a show in El Parián de Tlaquepaque, order a cazuela (tequila cocktail) and listen to a live mariachi band. If you are willing to spend a bit more, the musicians will also play a private, mini concert at your table. The food in Guadalajara is one of the best and very distinct from the rest of Mexico. Make sure to try: Torta ahogada aka drowned submarine sandwich-filled with pork covered in red tomato/chili sauce; birria (spicy meat stew) and sea food dishes like Sopa de Mariscos. The best place to taste all of these dishes is Mercado Libertad. We ate there everyday and loved it! Just make sure to check the prices first because we made that mistake once and ended up paying a lot more than everybody else. Also be aware of your surroundings as it's a known hot spot for pickpockets. Tulum is a very well known vacation spot in Mexico. It is definitely less crowded than Cabo San Lucas and the resorts here seem to be less gaudy and attract more of the bohemian crowd. The warm, turquoise waters, white sand beaches and the fresh ocean breeze make this place a paradise on earth. Besides the beautiful beaches Tulum is great for scuba diving. If you aren't scared of darkness, diving in the cenotes - underwater caves is an unforgettable experience. You will also taste some of the most amazing sea food here. Try some fresh from the sea ceviche, a fresh sea food marinated in lime juice and served with Mexican spices. Another local specialty are shrimp cocktails, which here is prepared with only ketchup and no tomato juice. Unless you love chugging glasses of ketchup at once, we recommend avoiding this dish. If you are a vegan, there are many restaurants here serving the most delicious and high quality foods from fresh juices, smoothies and amazing salads. English is very common in these areas due to the high number of Americans coming here for yoga retreats and relaxing on the beach. You will see a lot of foreigners here scootering and biking around the town all day and night. This is a very safe area for tourists to be carefree. You should also visit the Tulum ruins. This abandoned Mayan city is located on the tall cliffs overlooking the Carribean sea. The views are breathtaking! 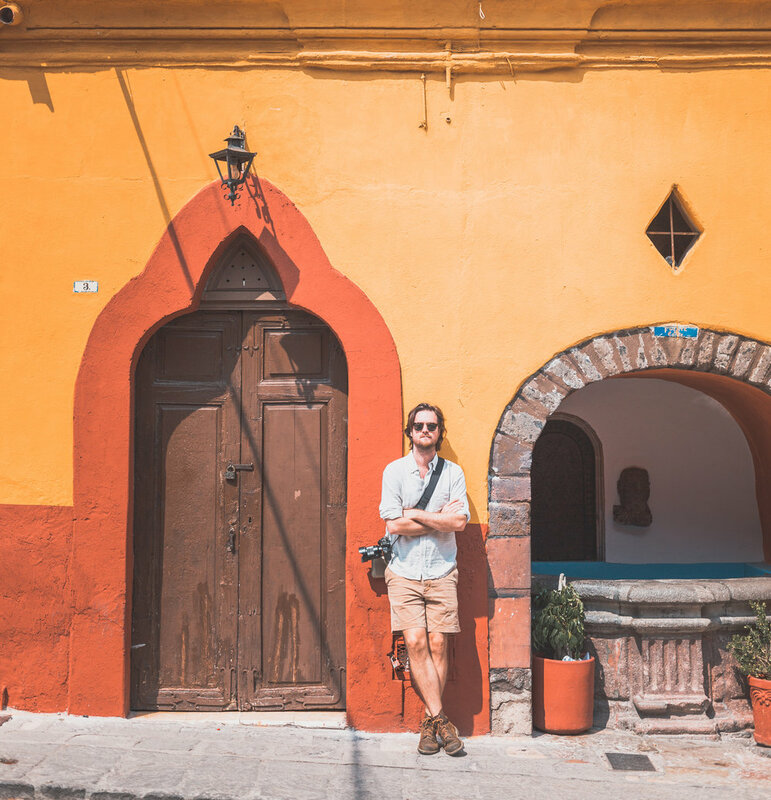 We hope that you enjoyed the read and we encourage you to visit some of the places we mentioned here on your next trip, and if you have been to Mexico before please let us know what was your favorite spot. Cheers!